The Pretani people introduced farming into the islands, crops were grown, animals kept and many new types of implement were introduced. 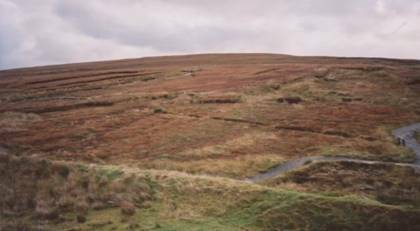 Farming skills would develop and as practising shifting cultivation, and rearing livestock grew it penetrated all the major upland areas and reduced considerable stretches of forest particularly in Ireland to grassland, scrub or bog. The Céide Fields in County Mayo in the west of the Republic of Ireland contain the oldest known stone-walled field systems in the world dating back nearly 3,500 BC. 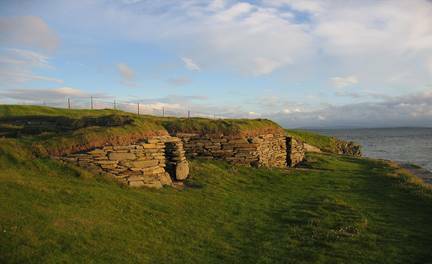 Located at Knap of Howar on the island of Papa Westray in Orkney, Scotland is a farmstead which may be the oldest preserved stone house in northern Europe. It was occupied from 3700 BC to 2800 BC where people kept cattle, sheep and pigs, grew barley and wheat and fished. St Kilda contains the westernmost islands of the Outer Hebrides of Scotland. One of the other islands is called Soay used for grazing and seabird hunting. An ancient breed of sheep called the Soay have survived and are still farmed today. 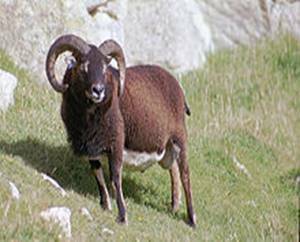 It remains physically similar to the wild ancestors of domestic sheep. It is very hardy and agile allowing it to graze places that other domesticated sheep can’t. 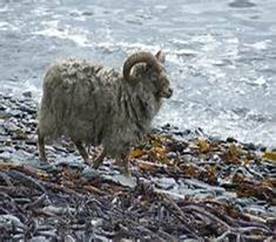 The North Ronaldsay Sheep lives on the northernmost of the Orkney Islands called North Ronaldsay. It has changed very little in 5,000 years and they are unusual in that they will graze on seaweed. This breed is raised primarily for wool.